The Zildjian K Hybrid Series was developed in tandem with legendary session drummer Akira Jimbo to reflect his eclectic playing style and inclinations. All cymbals within this series feature a brilliant bell and inner bow and traditional outer bow and edge for a high degree of contrast and greater presence. 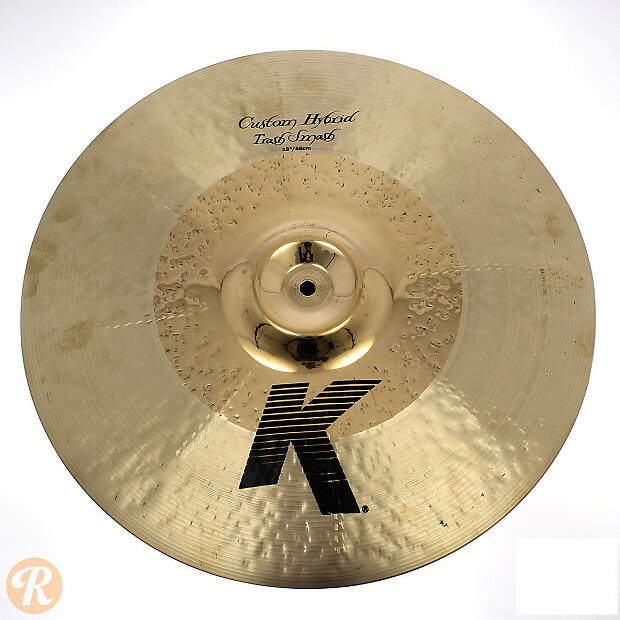 As with all K cymbals, this series is hand-hammered. The Trash Smash features an inverted bell similar to a china with the bow definition of a crash. A trashier, more explosive attack and decay is imparted by traditional hammering and lathing on the outer bow with heavier hammering on the interior brilliant portion.